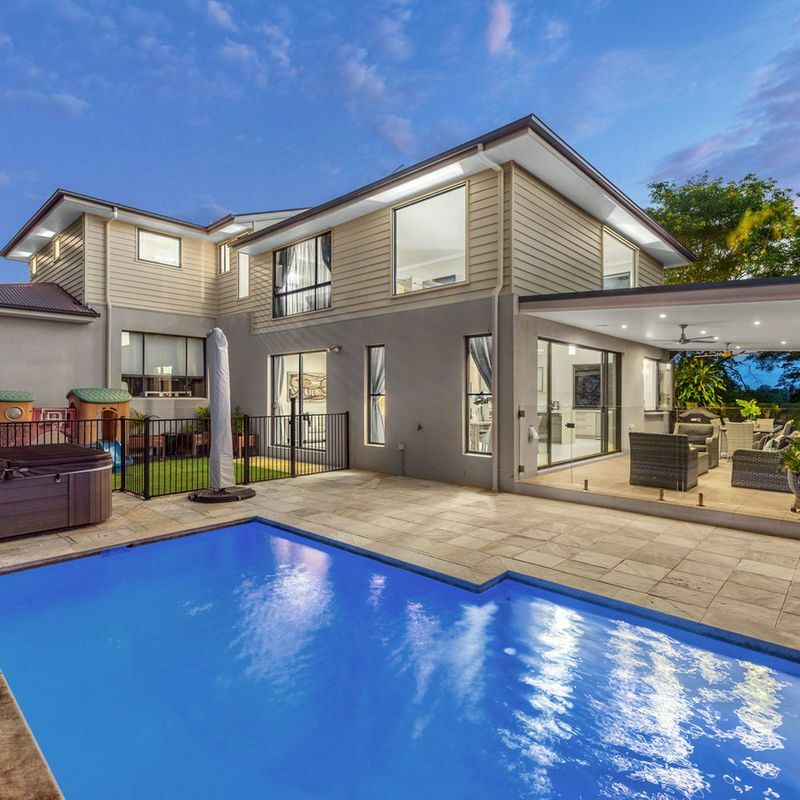 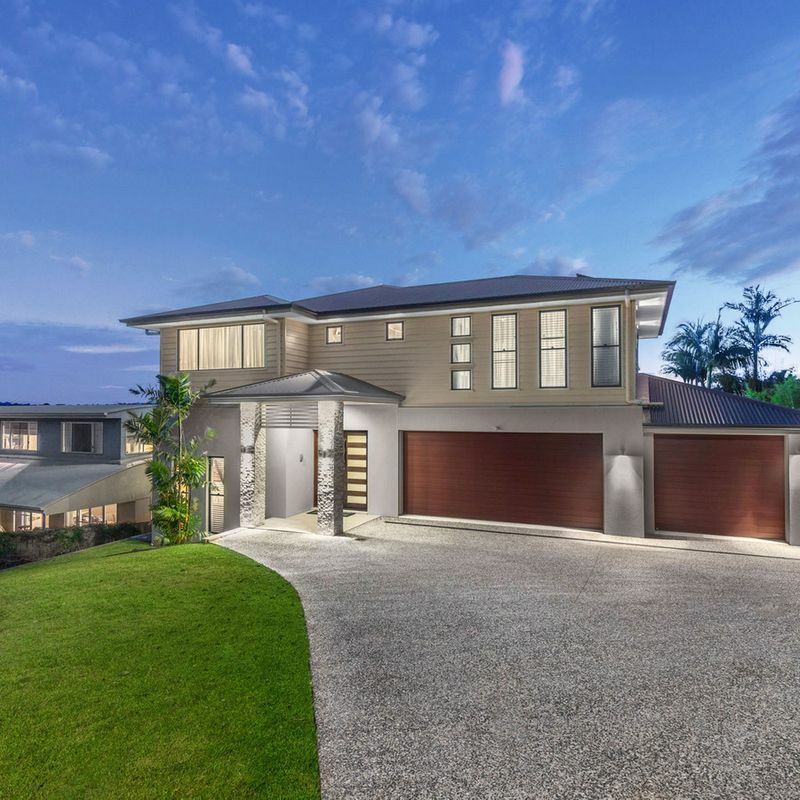 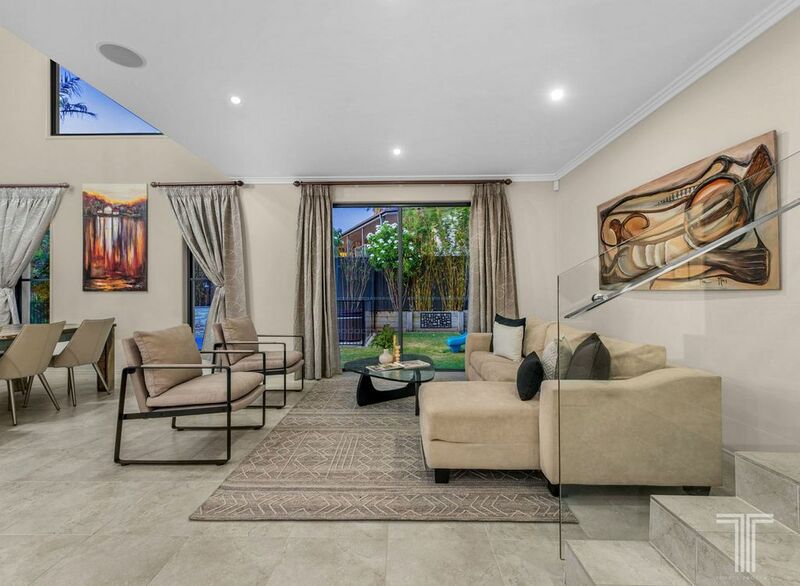 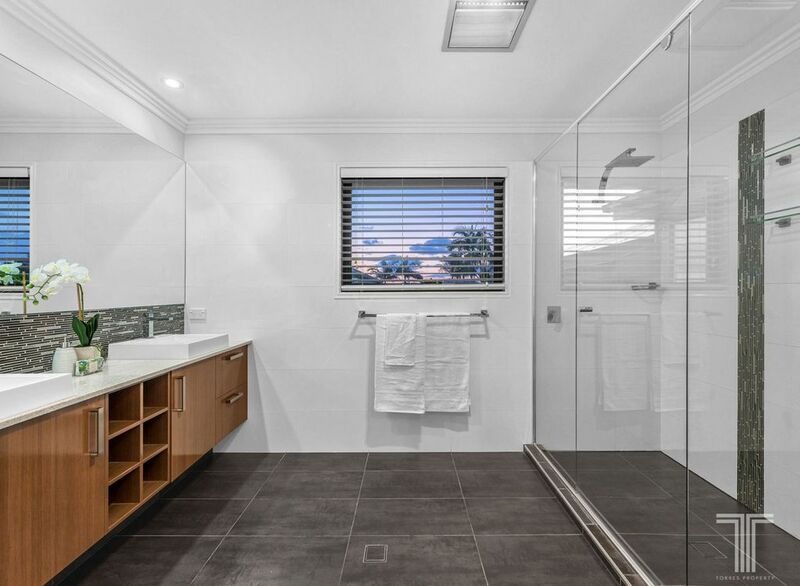 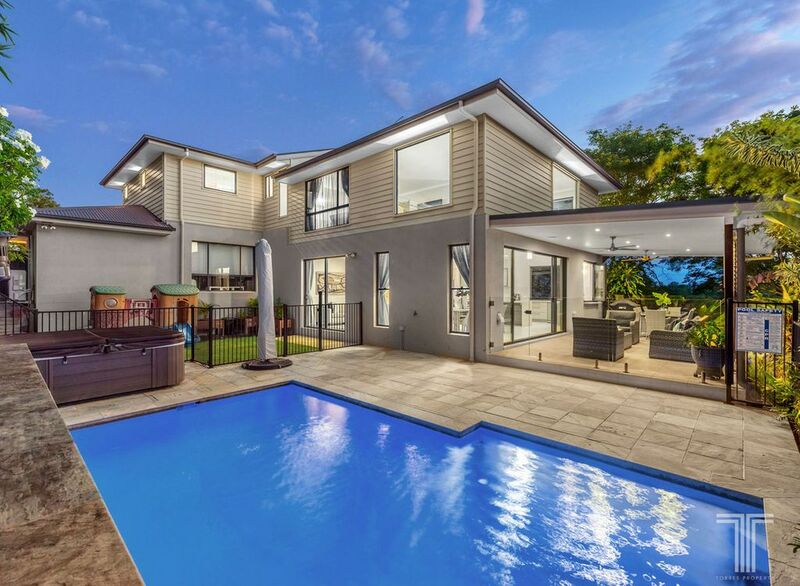 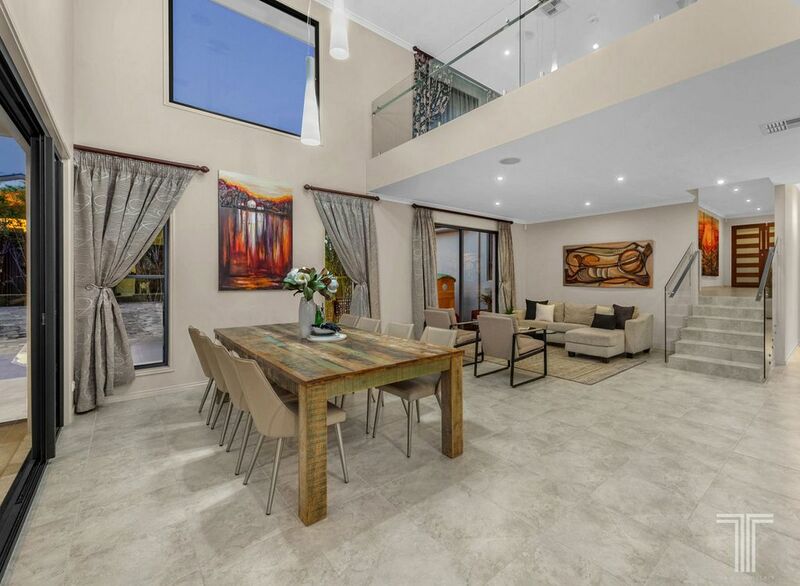 Elegantly composed and finished to the highest of standards, this stunning contemporary abode presents sophisticated living within the sought-after Mansfield State High School catchment. 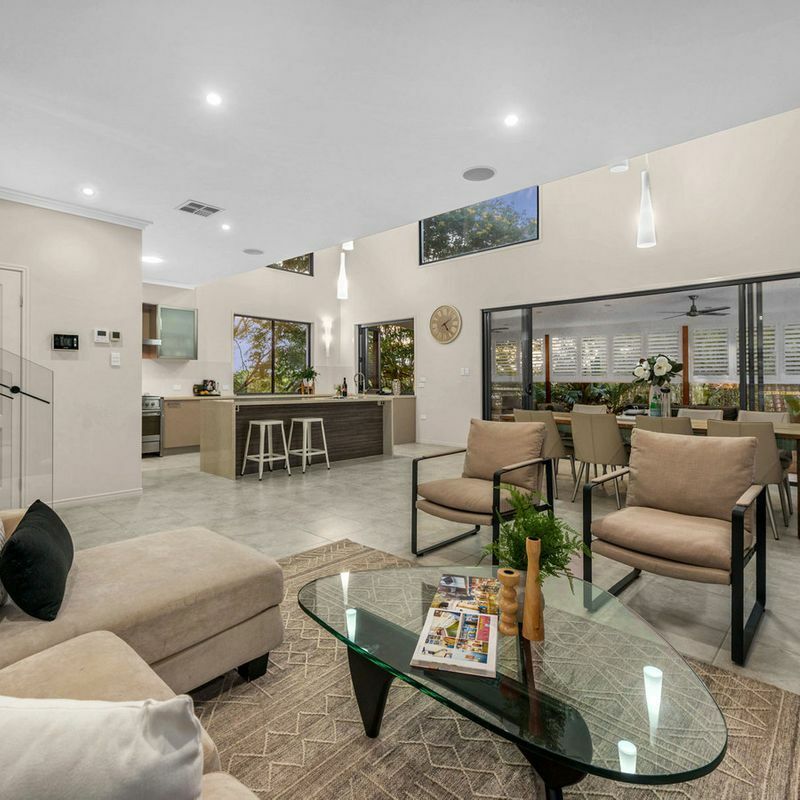 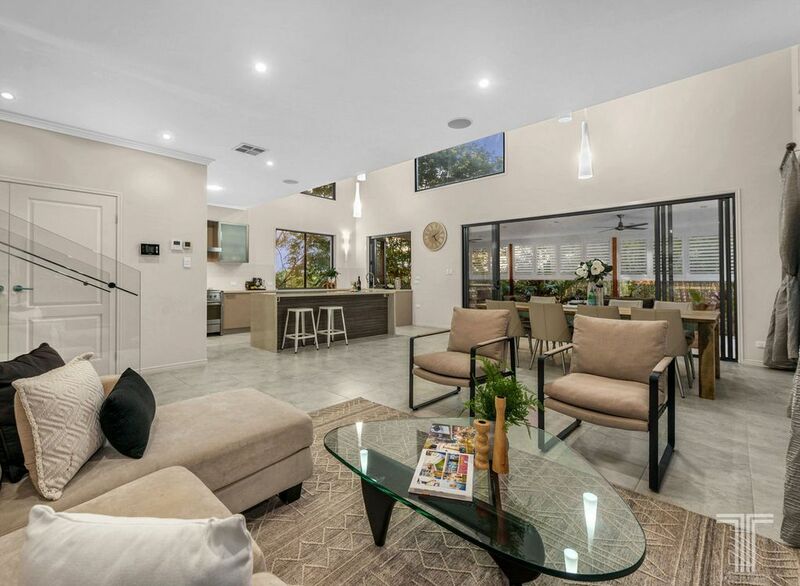 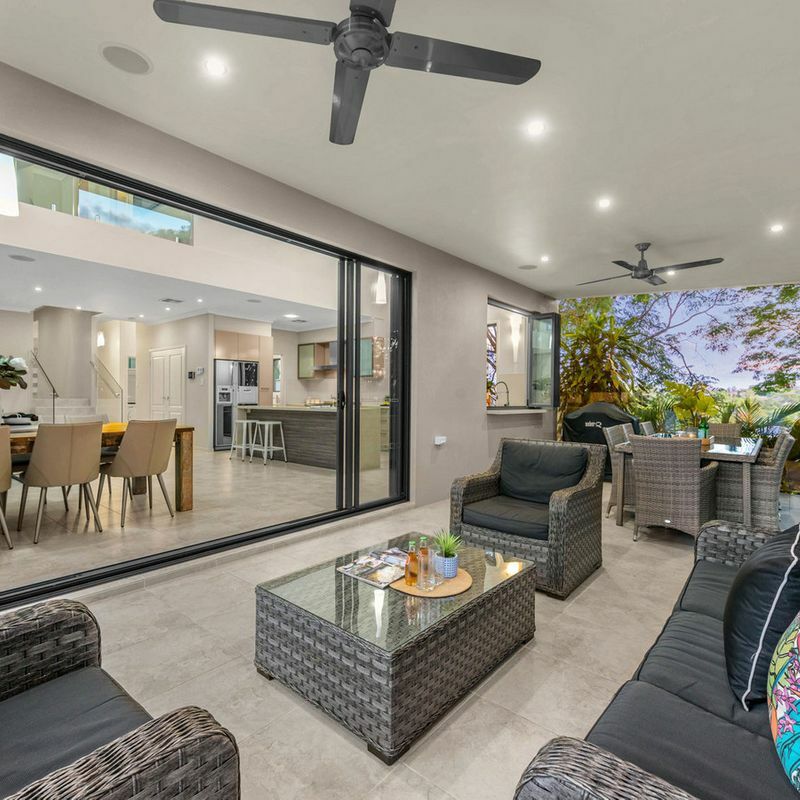 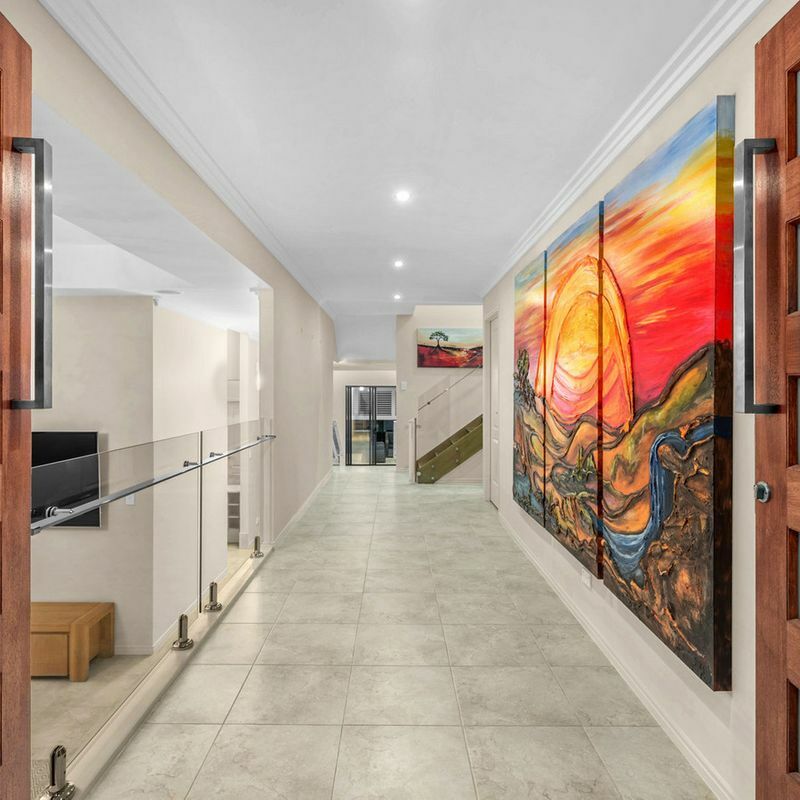 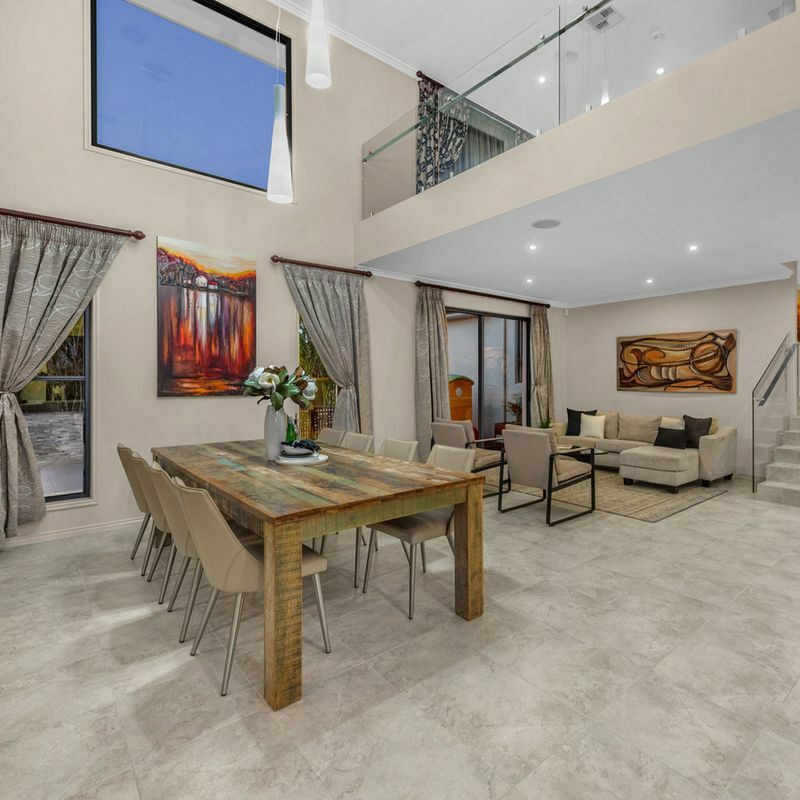 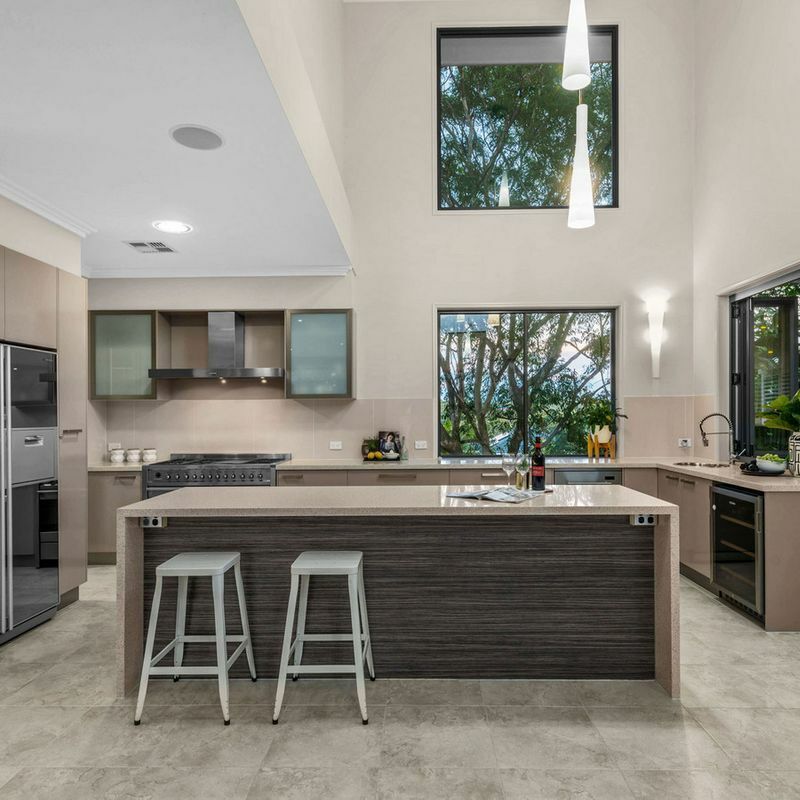 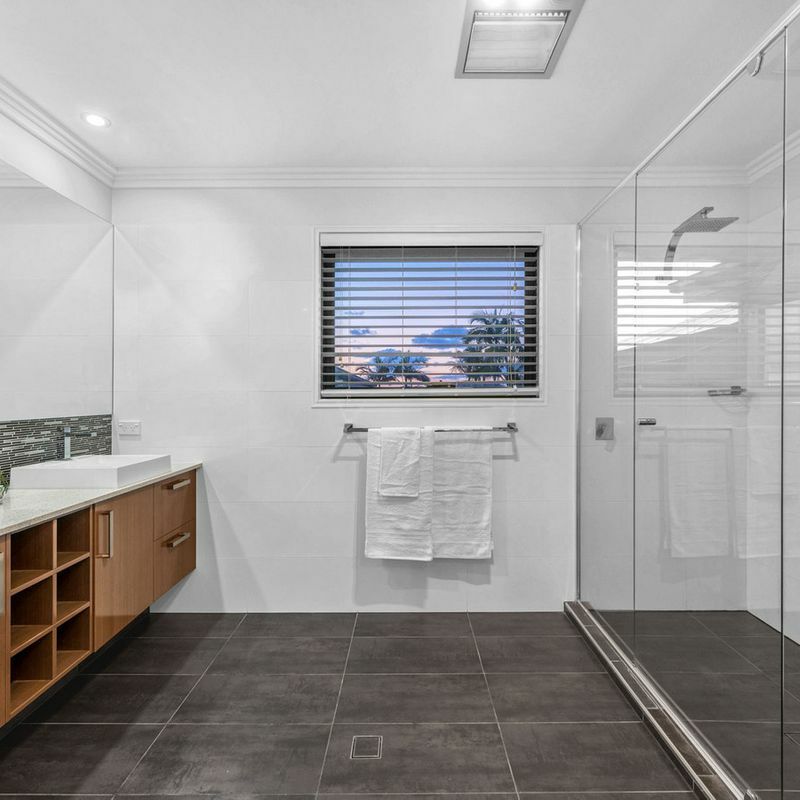 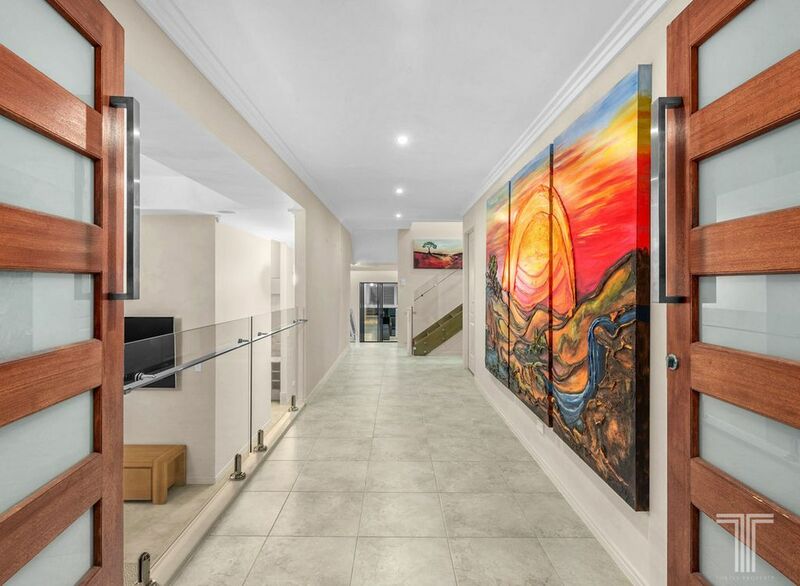 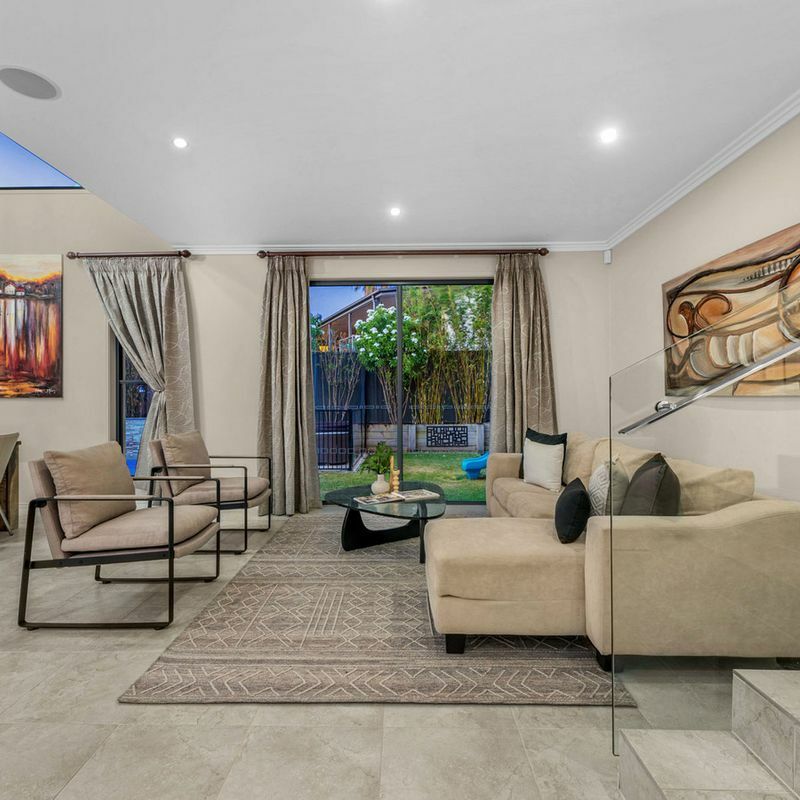 Set on an expansive 639sqm block and boasting over 400sqm of living space, the attention to detail in this home’s design is evident from the moment you step inside. 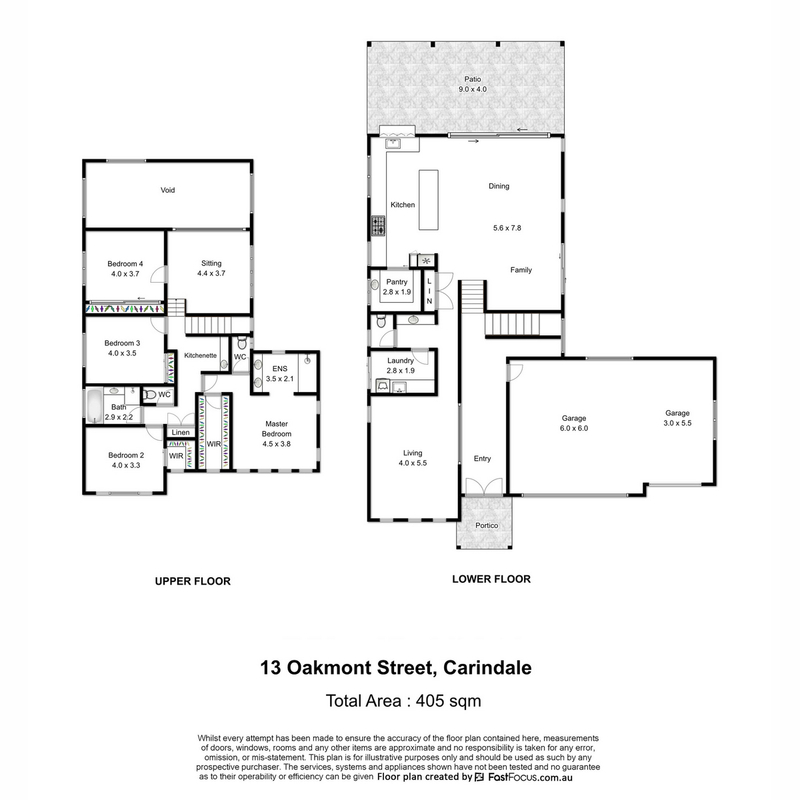 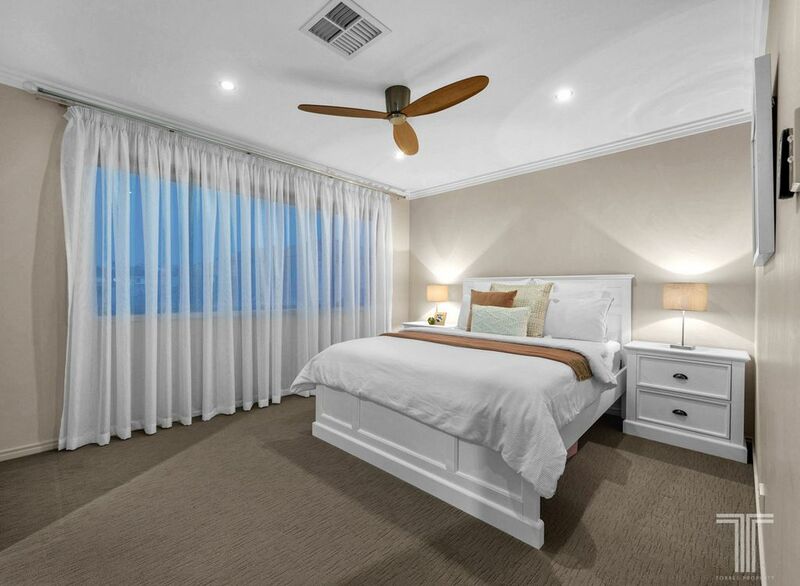 Inspired and stylish, the lower level presents the ideal layout for modern executive living. 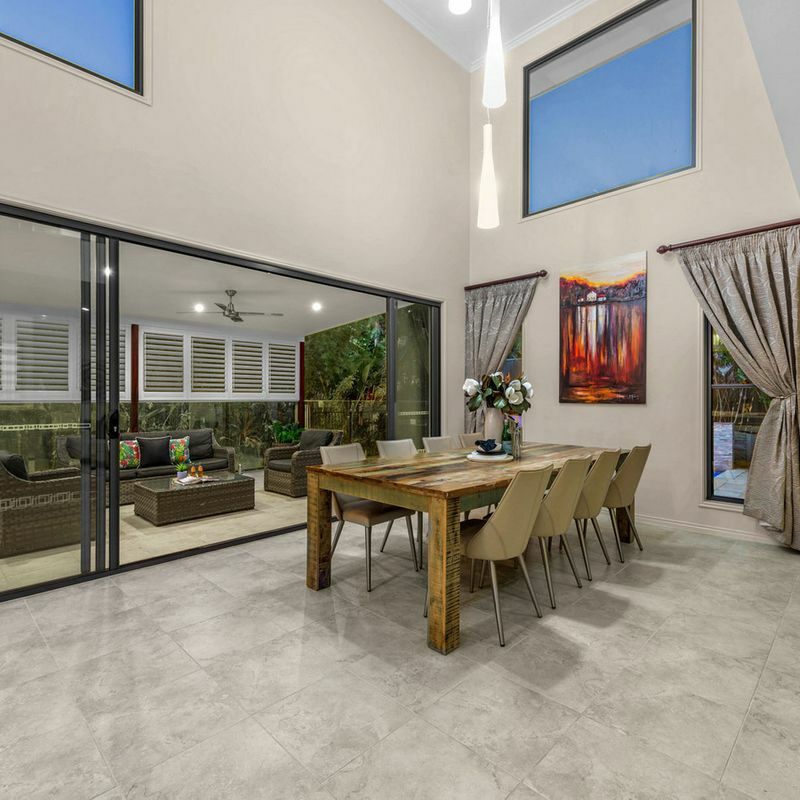 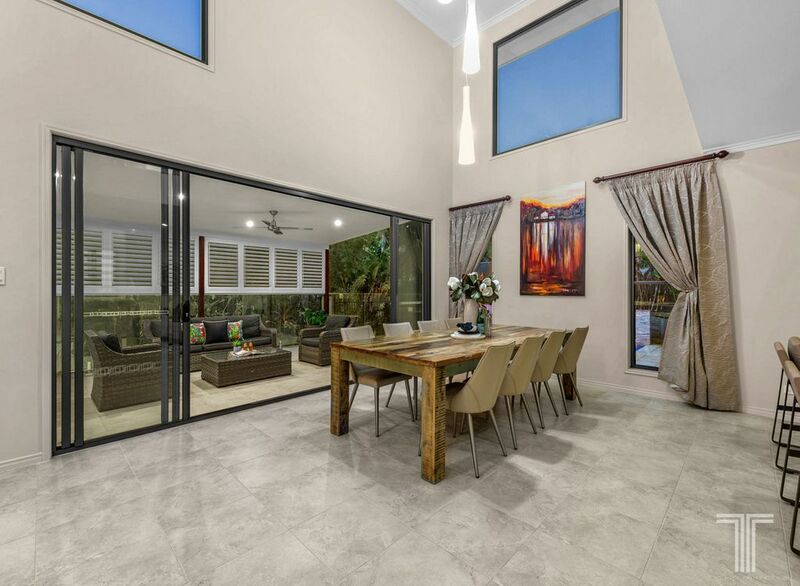 Adorned with Travertine-style tiles, 2.7m high ceilings and an intuitive use of glass, residents can relax or entertain in the formal lounge room or flowing, open plan family and dining area. 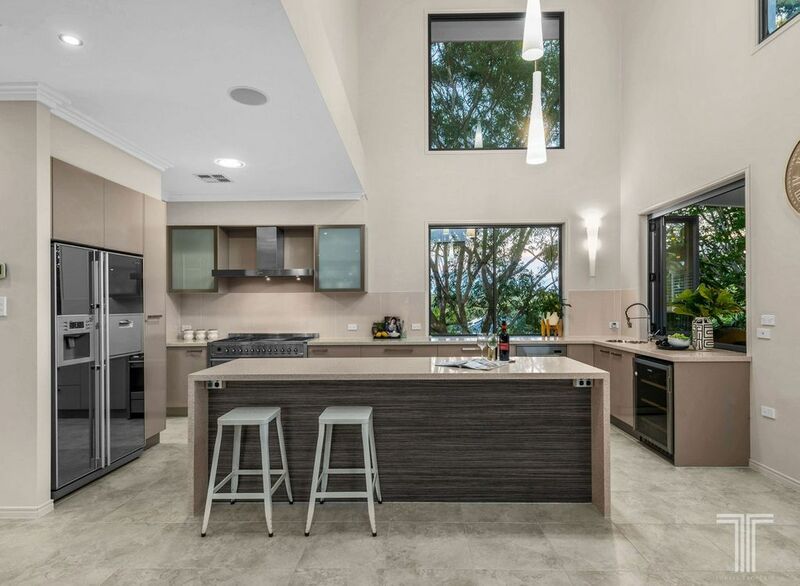 Showcasing a soaring 5.5m void bringing in a wealth of light and sense of openness, this relaxed living space adjoins the gourmet chef’s kitchen boasting 40mm Caesarstone benchtops, stainless steel appliances, island bench, bar fridge, walk-in pantry and servery window to the outdoor alfresco area. 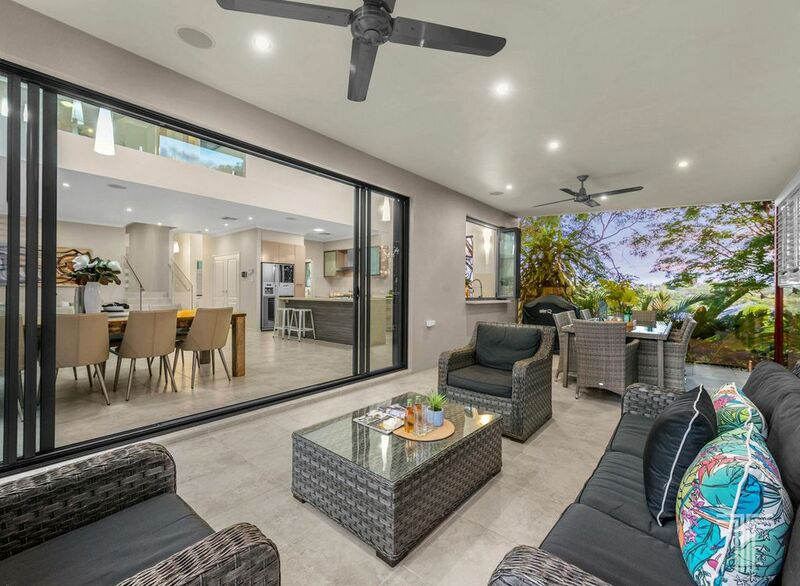 Framed by tropical greenery and overlooking the sparkling pool, this outdoor retreat seamlessly connects inside. 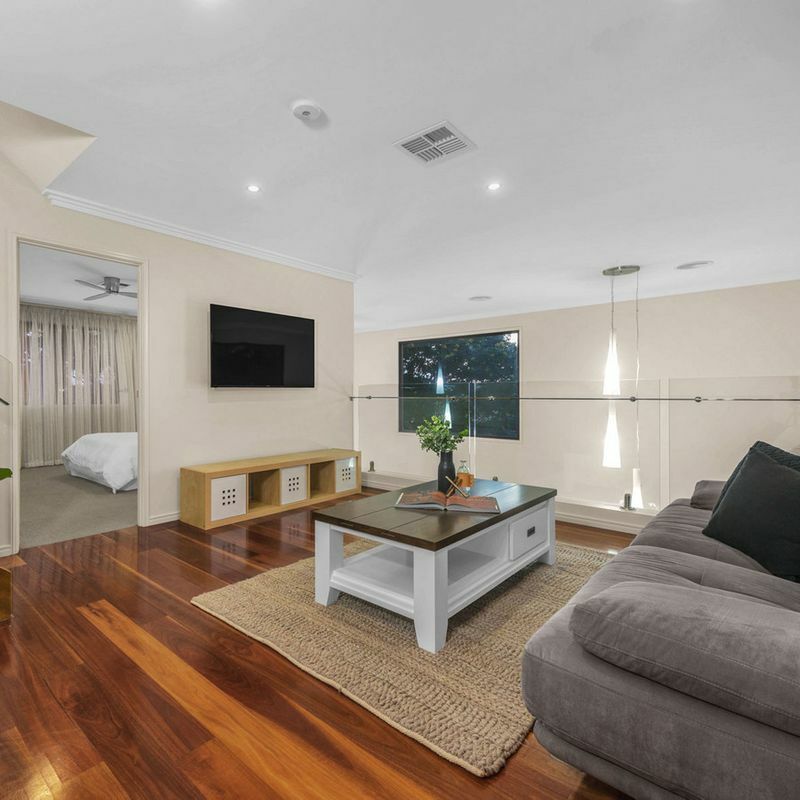 Located on the upper level, an additional sitting/TV room adjoins a kitchenette and four bedrooms, creating a much-needed breakaway space for teenagers and adult children. 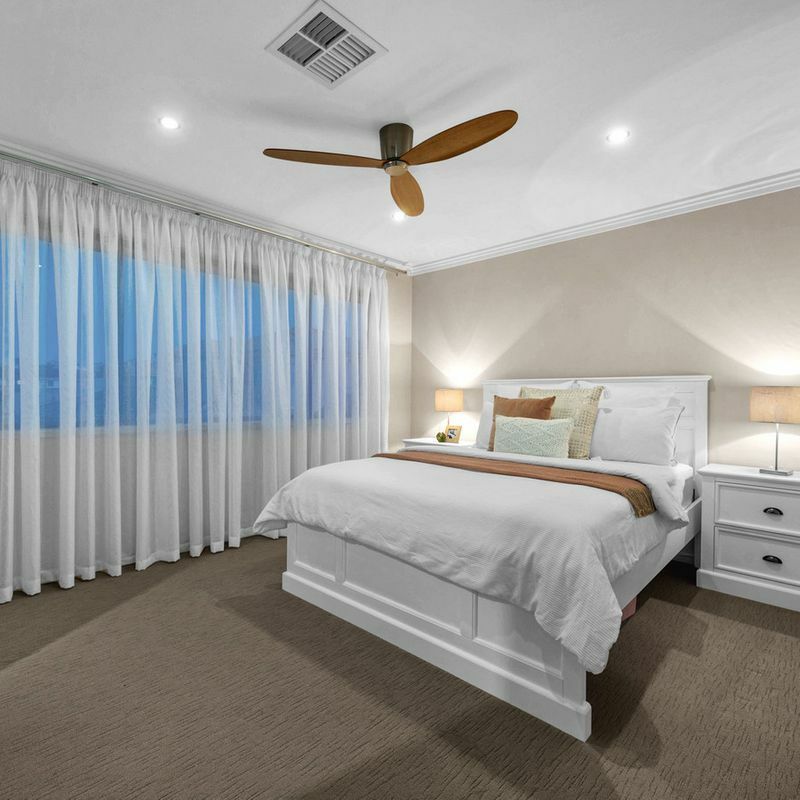 Generously sized, the master suite features a walk-in robe and ensuite, while bedroom 2 also includes a walk-in robe and bedrooms 3 and 4 with built-in robes. 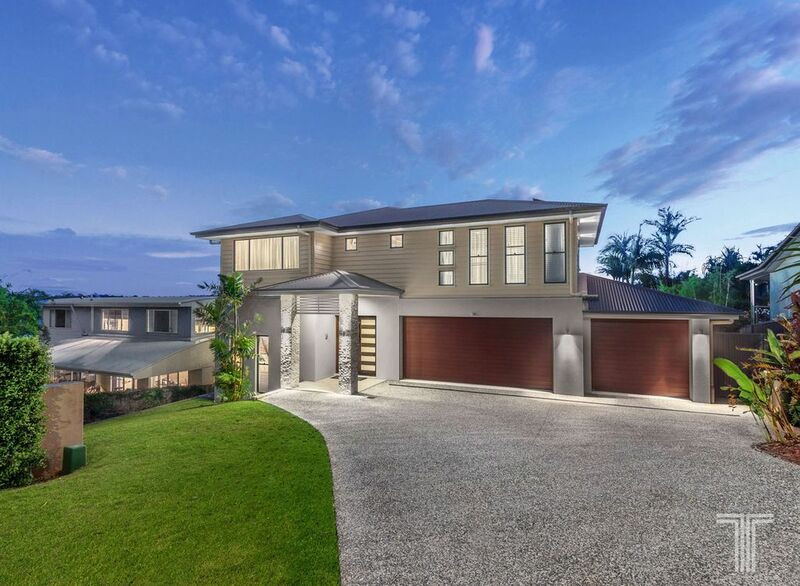 Completing this home, the triple garage with epoxy coated flooring and air-conditioning offers you an ideal layout for a home office or business. 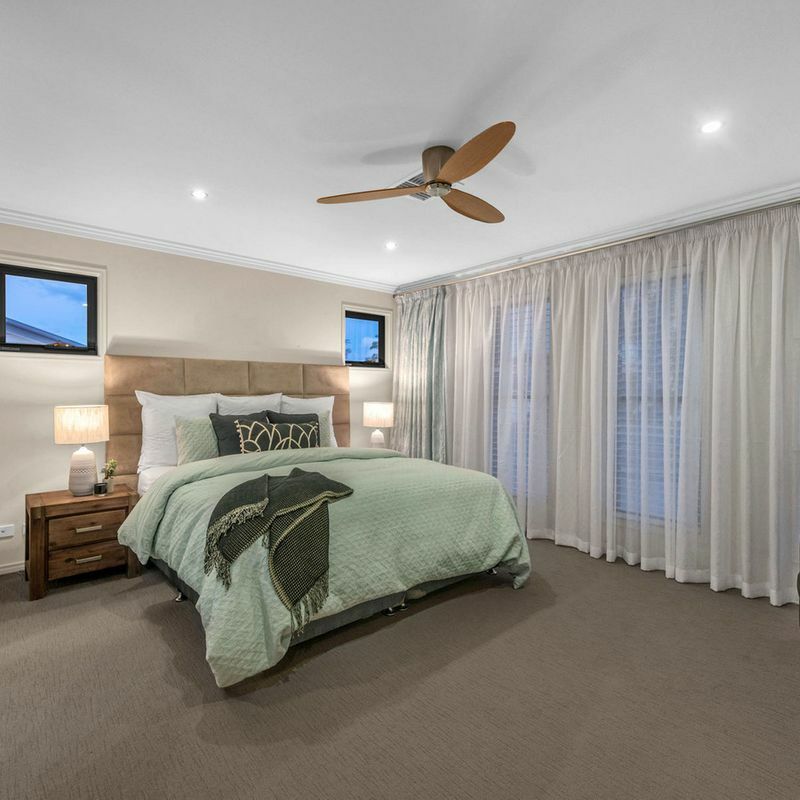 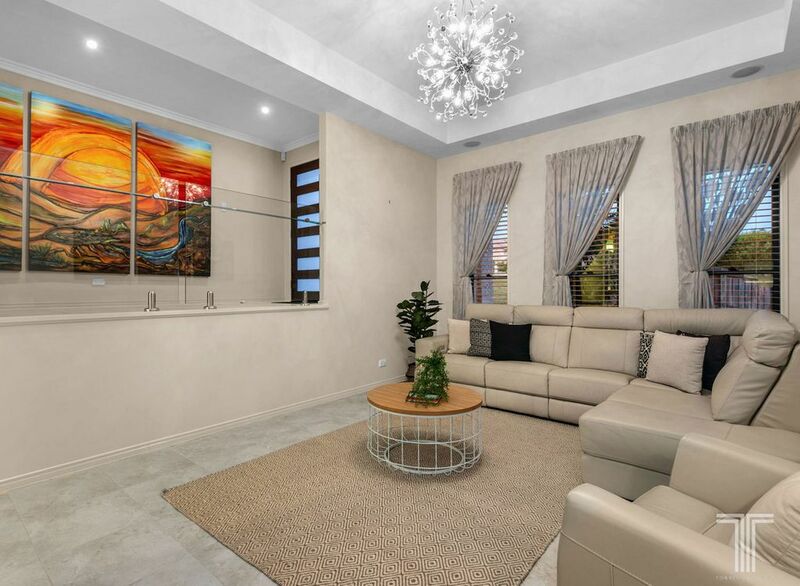 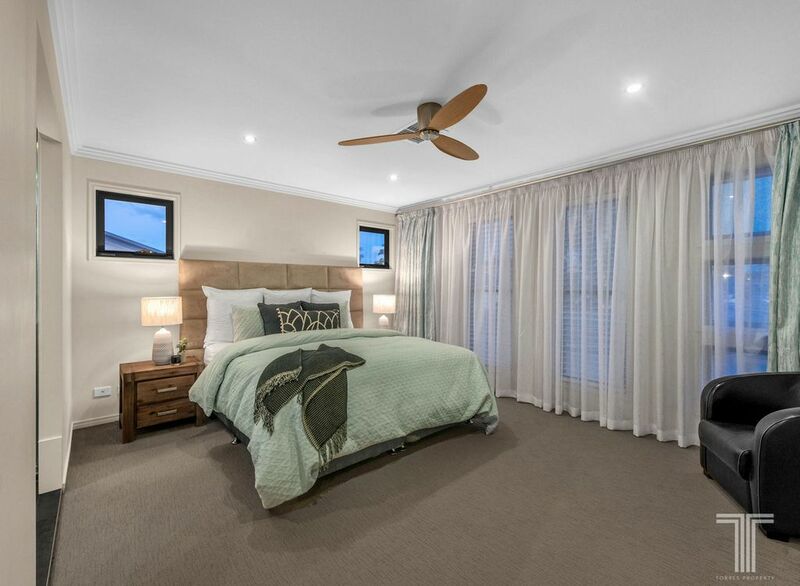 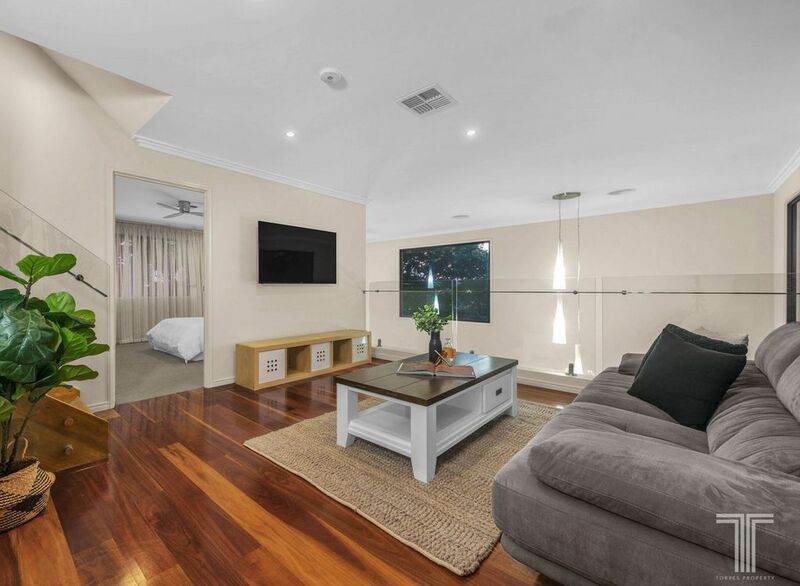 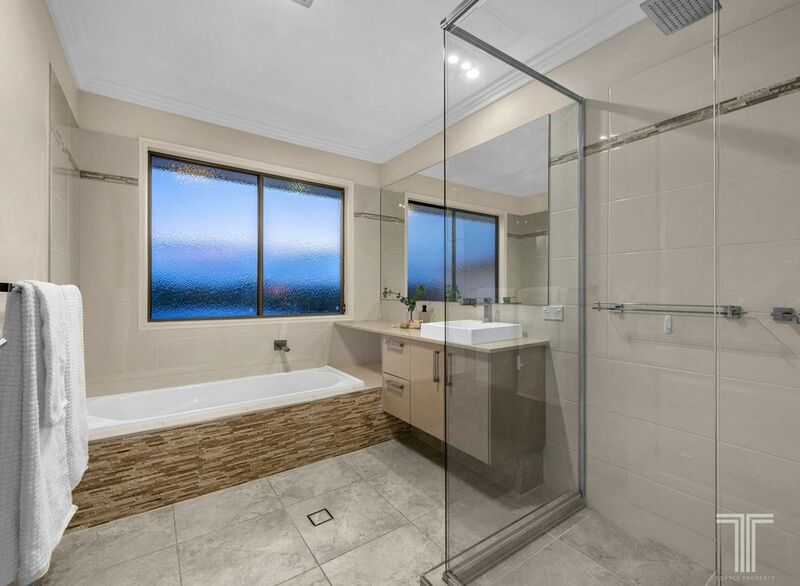 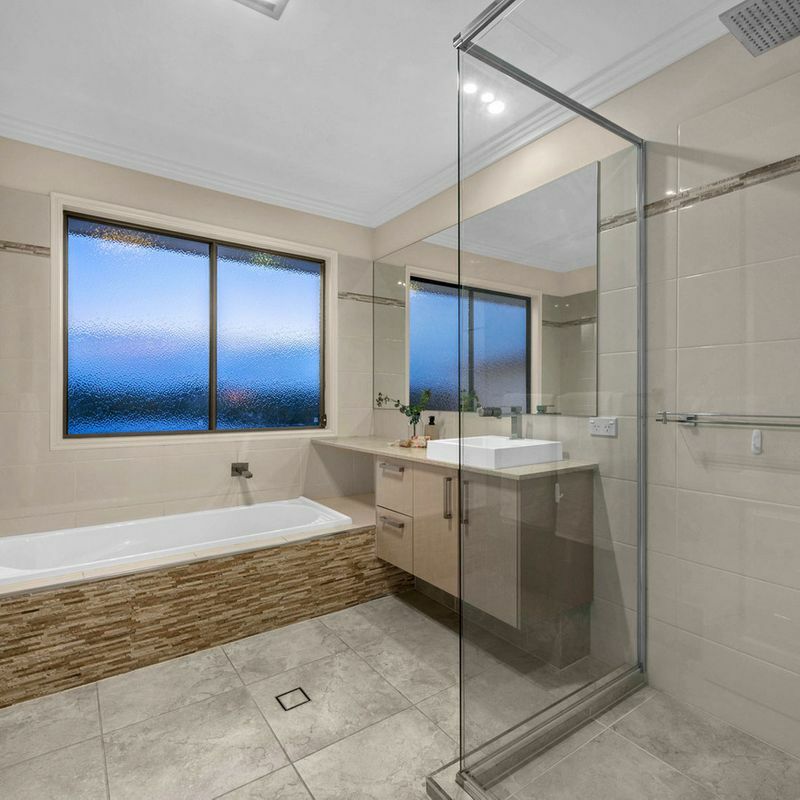 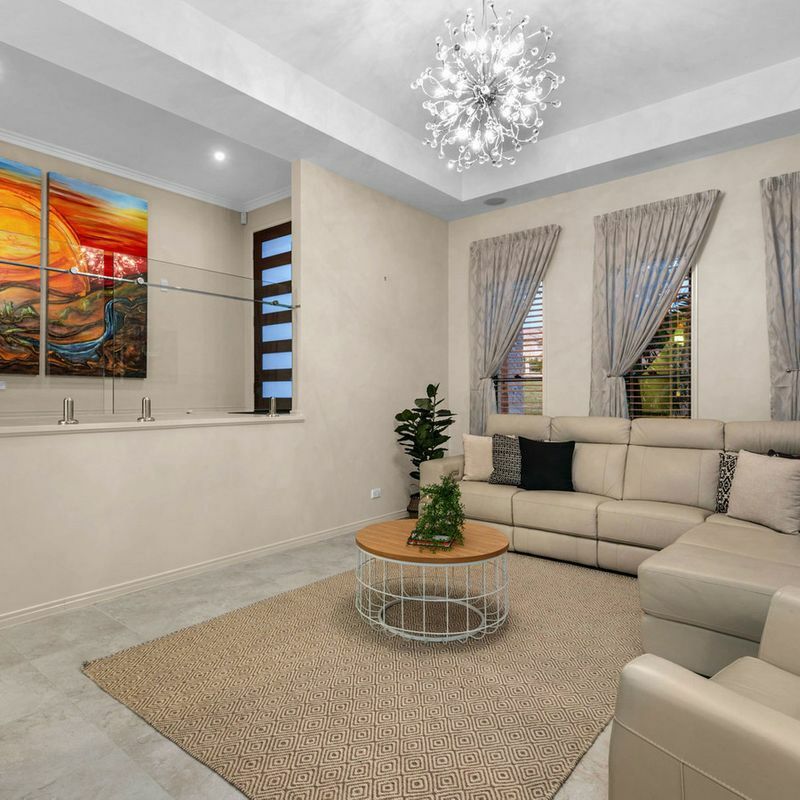 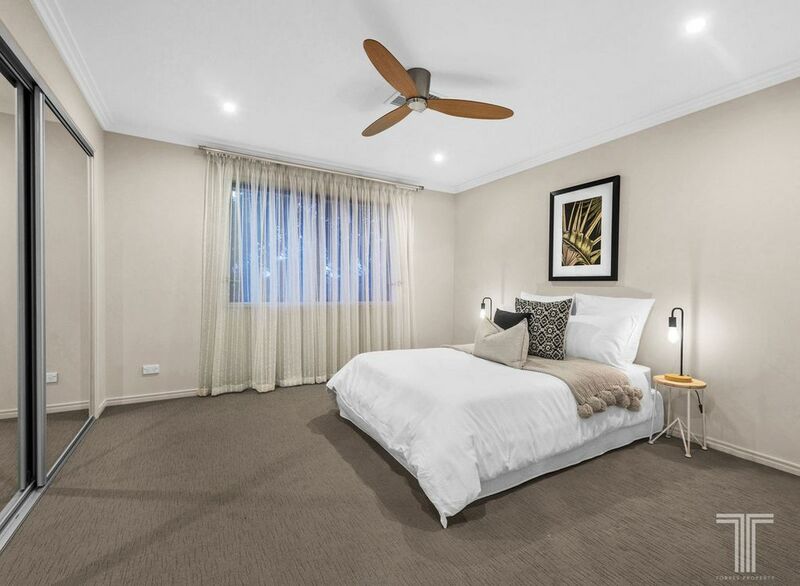 Enjoying a scenic position in a quiet tree-lined street, surrounded by parkland and close to bus stops, residents will appreciate the convenience of Westfield Carindale accessible in minutes as well as Metropol Shopping Centre and Aldi. 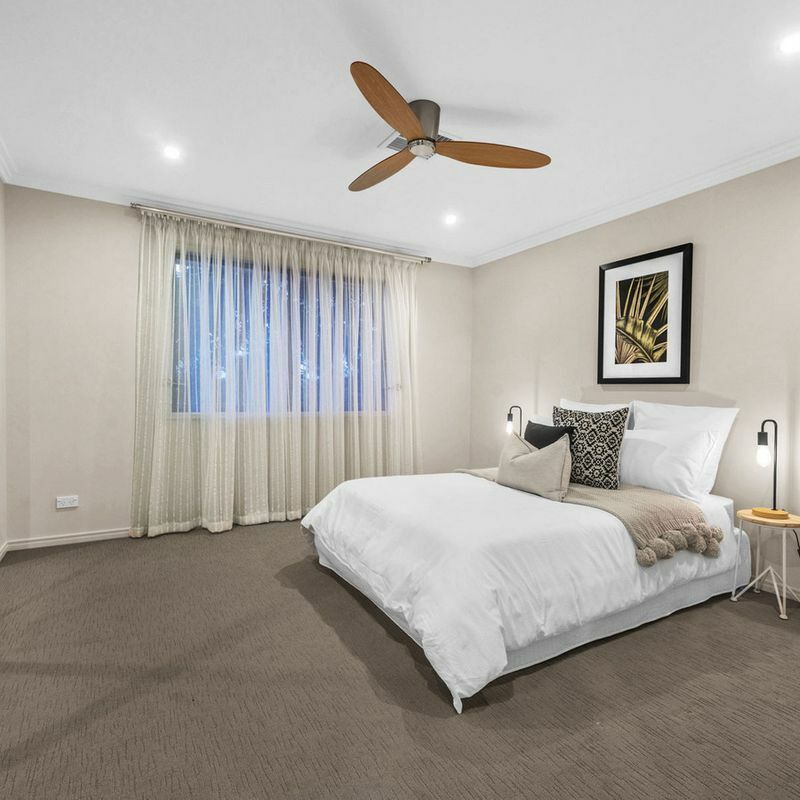 Only moments to quality schools such as Citipointe College, Belmont State School, Mansfield State High School and childcare, this family friendly location has it all.